Patent pool is a consortium of two or more companies agreeing to cross-license patents relating to particular technology. This is mainly done to save time and money of the patentees and licenses to relax the legal complications. Patent pool is a hot debate. This helps to keep alive the non exclusive quality of knowledge and information. The more people use a technology or product its value is incremented. 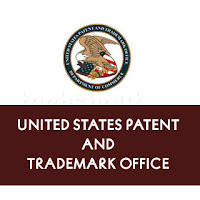 Patented knowledge is protected by Patent rights which clearly forbid it from being used easily and widely. Until the Patent owner eases the restriction of the exclusive rights acquired by him/her the product or technology is far from being used on a larger scale. Patent pools can give chance to an idea, technology or knowledge being to be used by more people. This will lead to benefit to the mass. With use of Paten Pools and patent clearing houses the search and transaction cost in research can be reduced. With the implication of the network effect and critical mass the collaborative cross patenting can make knowledge better accessible. Challenges posed by IPR are more evident in developing countries, though there may be laws but the inability to implement them practically has give rise to piracy. Bitlegging also seems to be a practical option as the economic resources are scarce. Mainly in health sector the compulsive use of patents forbid new inventions and innovations to come out. As the IPR should be respected, the depth of access to information is deducted. Patent clearing houses and Copyright Clearance Centers can help to lower the excessive control of the right holder so that the protected knowledge can be used for the welfare and development of a developing nation. Research is a vital aspect of learning new things. Government should mandate the use of Patent Pooling in all possible ways. The collaborative cross Patent among companies can work wonders but yes the monitoring to keep competition growing should also be considered. Government should look at innovative research from a different perspective and be a catalyst to promote research and reap its benefits. Patent clearing houses do not have such direct and visible impact here but the possibilities cannot be neglected. There are many ways from which developing countries can benefit form them. First it supports collaborative effort this will lead to finding similarity among differences that will surely benefit the stakeholders. The concept of cross licensing can be new but it will be helpful if used to full extent. The best way to establish and sustain patent pooling and patent clearing house is first create awareness about the whole IPR and patent issues. Relevant training and workshops relating to the control and use of patents can help about the right use of the patent to get best outputs. The concept of cross patenting can be misinterpreted so the awareness program should be able to flow the right information in the correct way. This will in turn enable the people to know the benefits of Patent pooling which will ultimately lead to better use of Patents for improved gains.